DIABETES - MORE OPTIONS FOR YOU! Are you a having blood sugar problems and going to your doctor often, yet having little results to show? Are you confused, not knowing what to do or to believe, lost in a vast sea of internet “health” misinformation that offers very little wise guidance? In matters of personal health, especially in Diabetes, you need an experienced and efficient guide. Discover the big changes that small adjustments can make in your current health picture. Gain a powerful system for building a strong personal health foundation and give your family much-needed security and peace of mind. This is your life! Diabetes can go on and on for years, life may become miserable and often people pay the ultimate price! Don’t let this happen to you! You Can Turn Diabetes Around! Enroll in the coaching program! In other words: Take Action! A great book for the open-minded patient! A book like no other! 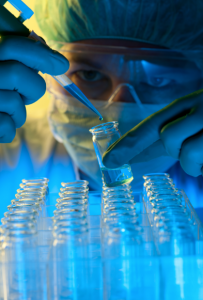 Do you want to take a shot at reversing your Diabetes? If yes, buy and read the book to find out how! If you want to reverse Diabetes yourself, you need more tips, lists, instructions and... more secrets! For the self sufficient this is buy, read and implement! How do you measure your Diabetes? Do you know how severe, complicated or concerning your Diabetes is? Have a complete blood test panel to find out! Exclusive and powerful, a daily nutritional supplement formula for Diabetes, researched and formulated by Dr. Pop, based on decades of practice and experience. Now you too can get your hands on this amazing, life-changing product. This product will allow you to not only do cool things, but also look cool while you do them. The best part is that you can start doing it right now today. There's no waiting and only time is stepping between you and enjoying this piece of world history today. A Three Month Weekly Health Coaching Package Designed to Reverse Your Diabetes. Specially Designed by Dr. Pop with Your Success in Mind! Book: Dr. 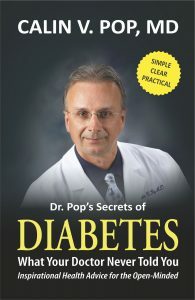 Pop's Secrets of Diabetes, What Your Doctor Never Told You. 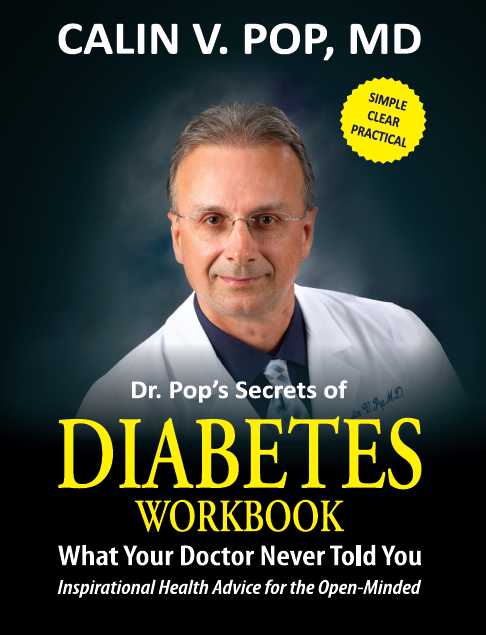 Workbook: Dr Pop's Secrets of Diabetes. Tables, Lists, programs and many useful tools for you. Laboratory Test Panels Before and After To Measure Your Progress and Success! Designer Nutritional Supplements for Diabetes for Three Months While You Participate in the Health Coaching Program. A Weekly Group Coaching Program for Three Months Providing Guidance, Feedback, Q&A, Instructions, Homework, Meal Plans, Discussions, and ... Much More! Warning: These options are FOR TYPE 2 DIABETES ONLY! Individual cases may vary. For difficult, complicated, severe, or unusual cases, please see a competent physician. The book and present options central idea is permanent lifestyle changes! This is not for you if you are not committed or looking for the latest gimmick! Some of the ideas you may encounter in this book and Dr Pop's programs are original, entirely the personal opinions of the author. 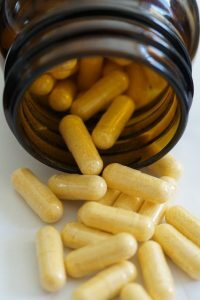 For this reason, you may not find these concepts anywhere else during your research, at least not for some time, nor will you find agreement and approval of them from other doctors, academia, or health authorities. These ideas are not the standard of care or even the standard of thinking. Many are new, cutting-edge, and unproven strategies. If you are only seeking the typical standard of care or expect standard treatments or suggestions, please do NOT read the book or enroll in any of the above options.